Hey Joe, I read your tribute to John Wooden. Very good. It’s amazing that your Dad and he shared a birthday. John Wooden would have been a great guy to know and play for. I should read that book you mentioned. By the way, if possible, tell your son, Matthew, that the word “Anyway” should be two words in that context–Any way. Thanks. 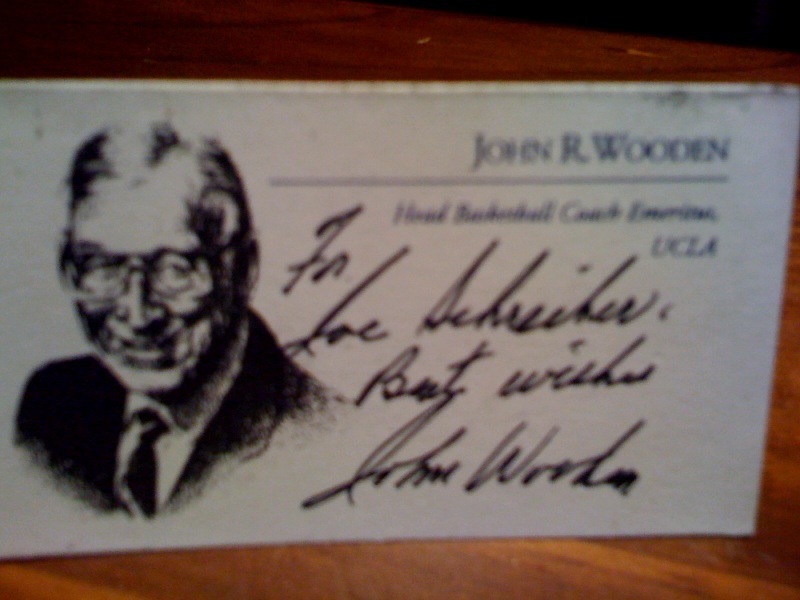 Joe – Terrific tribute and it is inspiring me to learn more and read more about John Wooden. He sure sounds like a heck of a great guy. Thanks for the interesting, thought-provoking piece.